With a last round victory over previously undefeated Mark Courtney, NM Matan Prilleltensky has won the 2019 Dutchess County Chess Championship with 4.5 out of 5. Mark takes 2nd on tiebreaks (4/5), followed by Trevor Brooks (who defeated Ernie) and JJ Oracz (1737 pre-tournament rating) with an impressive last round win over Rudy. 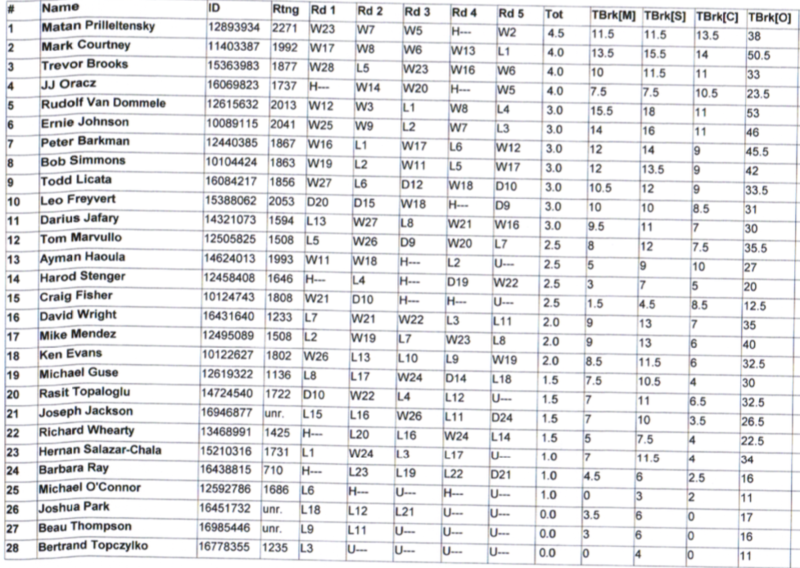 See below for full standings, and check back later for the USCF crosstable results once they are complete. Also check our Facebook page for pictures of the start of the last round, including the celebration for Dr. Craig Fisher.